Oh Yay ! FInally another page turn and on Unnie's birthday too. It would have been nice if it were the 322nd page but 319 is good too. I'm looking forward to a certain someone's cryptic happy birthday message insta post or maybe unnie's cryptic thank you post for a birthday wish and present given in private. Thanks for appreciating my vids If I have time and the mood.. I'll make again.. just a disclaimer to the vids and pictures I borrowed in IG for my vids: Sorry for borrowing them w/o asking permission..I'll ask next time (but for others whom I sent messages, you don't reply so what's the use of asking?) Plus, I included the names under Credits..PEACE! HBD to Ms. Oh Yeon-seo..(she has the same bday with my bro.) More blessings, good health, happiness and love to come..
Hi Chingus. Where is everyone? I've been lurking every day and miss all the posts. You guys are even making me delurk and post! Regarding the dates, LSG went to Japan on 5/29 (2 days before the Fan Mtg and there was a bit hoopla because the reporters were mis-informed and went to the airport on 5/31 and were upset that he had left days earlier- this is strange and suspicious too, no?) So why would he go 2 days earlier than necessary? And I think OSY could have been in Japan at the same time (and as you said, Japan is a good places for K-celebs to date a la SSC who also proposed in Japan) and only uploaded the instagram now to be secretive and so that others can't say they were in Japan at the same time. In my delulu mind, I can even envision how he wanted to date abroad (and even propose) before he gets super-busy with his "Vagabond" filming. Of course, I could be completely off-base although I'm a very logical, skeptical person in general. But with the above and their continuing to dress matchy (recently every one of LSG's recent outfit seems to be matchy with OSY style), my ship is really sailing. So I'd love to hear your and others' analysis/insight too to confirm or wake me from my dreams! Hey hello @sysupporter! Definitely still alive here just too lazy to post anything. The male character on her birthday cake is based off her favourite character, Kintokl. But we all wish it's representing our ship don't we? Hahaha. I'm so lazy to go analyse whatever games they are trying to play at the expense of my OTP feels, so I'm just going to pretend they are real and sleep in peace. @kopikosong, thanks for clearing up who the male was on her b-cake! I too was confused b/c someone said LSG’s fave color was blue. Now mystery solved. i wish I could be like u and just pretend they’re real calmly but being an accountant it’s in my nature to analyze everything thoroughly before believing it. And for someone like me to be more and more convinced of our OTP real pairing says quite a lot! @sysupporter I'm glad you decided to delurk for a bit. I think we all really miss the frequent posts. It's why I try to post a lot, even if its just replies and insignificant ramblings. I'm very critical and don't ship real life couples too often either so I understand how you feel about Seungyeon. I'd love to talk more about hints and clues too so PM me sometime when you're free and we can have fun analyzing and maybe being delulu some more. @iffahmm, thanks for the invite to PM. I'd love to PM you and discuss/analyzer further! I am on a family vacation the next few weeks so I'll PM you afterwards. I too agree that it's only a small possibility that it was a proposal in Japan but agree that it's more likely a couple ring (though I don't know why she'd wear it on her 4th finger). But there's also a very small possibility that they fell in love during the Hwayugi filming (then it's almost a year since they first met) and since they're both marriageable age, he decided to pop the question now to promise a future together (though it could be a long engagement since he has ambitions to be super-busy now after his enlistment). The fact that he mentioned that he's the type to fall in love quickly from the start and not slowly over a long period also lends credence to this possibility (as well as his behavior at the press conf). You're quite right about that. Since both of them mentioned hopes of getting married in the next few years it may as well be a long engagement if they're sure. But I suppose we'll have to wait for future evidence to prove that like maybe OYS wearing the same ring on multiple occasions and stuff. I'll look forward to your PM. We can expand on yours and my theories there where there is no risk of any antis finding out. In the meantime, have a lovely vacation with your family ! Ahh how I wish it would air in mine but dubbed kdramas have only just recently been started to air in Pakistan and Hwayugi isn't the kind of drama most of the gp here would like anyway. Do let us know if any deleted scenes are added to the Philippines version of the drama. Oh how I wish we could get to see the many deleted scenes. I hope they're included in the Dvd or something so we can see them. Does anyone know if the drama was any different when aired in Japan ? Especially since I think the Japanese occupation era shown in the movie reel would have been a touchy issue to air in Japan without changes. Any updates/interesting tidbits from MITH or PD48 lately ? OMG the flowers and the flower crown the master made was so beautiful ! It's been so quiet lately..
LSG been so busy now & OYS not updating her ig.. Anyone can translate the caption? I thought I had replied to this bt apparently not. Unfortunately I can't translate the caption and yes, uri OTP is busy and aren't able to update their instagrams as frequently. I miss them a lot and I also hope we can see more clues soon. As for the good news I mentioned: Suzy and LDW relationship was rumored to be fake/for the cameras too and the statement was also that they were in the 'getting to know each other stage.' The news broke out in early March, a week or so before the OYS and KB news. The only difference was that Suzy and LDW were caught on a date together by Dispatch while OYS and KB were never spotted together (making their situation even more suspicious). LDW and KB are from the same agency so we may or may not be getting good news that OYS is 'single' pretty soon since the scenarios are similar. Maybe within this month ? Maybe when she starts a new project ? Hopefully it'll be soon so I look forward to seeing the shippers who got disheartened and became lurkers on the forum when the news broke out come back soon. Then we can have a good time livening this thread up again with the entire 503 shipping family. Been busy lately but I've been quietly occasionally following this thread, while waiting for what the future may bring. 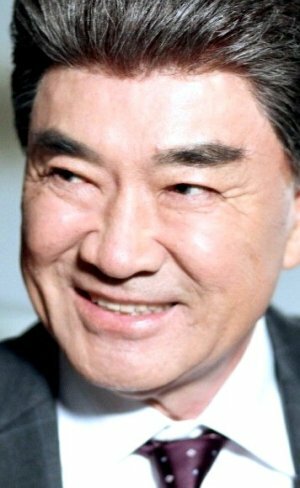 I just came to share with you my excitement over the upcoming Master on Master in the House: Lee Deok Hwa. That name sounded familiar, then I remembered why: He appeared in uri Oh Yeon Seo's drama previously: Shine or Go Crazy, and by appeared I mean not just any short cameo or anything but as a costar! I'm excited that LSG will soon get to meet someone so well acquinted with OYS through Master in the House Maybe they'd get to talk about the person they both know in common, of course this will probably happen when cameras are shut off, but still it's exciting, so people don't feel discouraged if this doesnt happen on screen, it might then very well have happened off screen anyway!! This is just for fun guys.. we really need to move on from this 319 page..